Whatever the occasion, treat your loved one with a visit to The Old Queens Head. Available in multiples of £20, once received they can be personalised with the name of the recipient, and a short message. The recipient can then redeem their voucher at any time for food or drink, within 12 months of the date of issue. 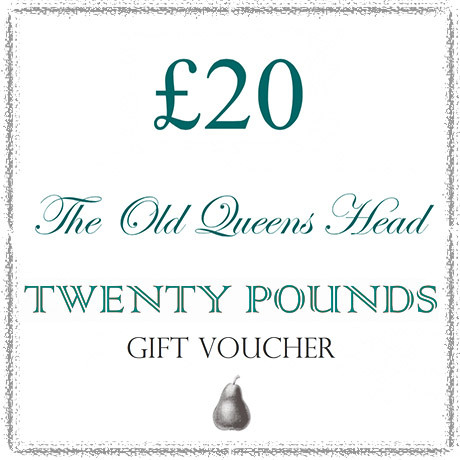 Vouchers purchased from The Old Queens Head are only valid for use at The Old Queens Head, Hammersley Lane, Penn, High Wycombe, HP10 8EY.